We are huge fans of tailgating, gathering our friends and family for football games, and just general hanging around together and enjoying each other’s company. One of my favorite things to do is make a bunch of appetizers and lay them all out on the table so everyone can eat at their own convenience, and I don’t have to be stuck in the kitchen…I wanna have fun visiting too! 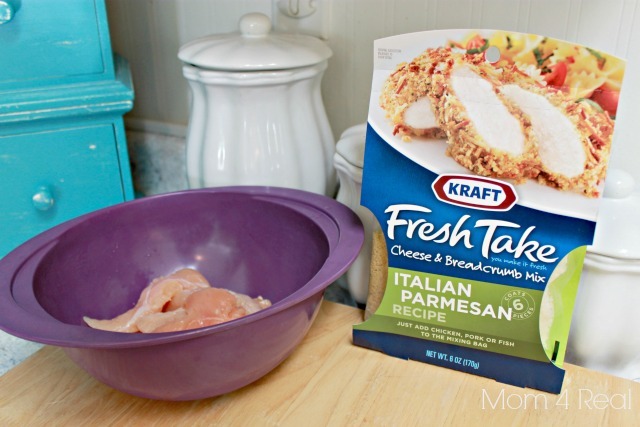 I recently had the opportunity to try out Kraft Fresh Take Cheese and Breadcrumb Mix. I decided to put it to the test and see if I could come up with something that our kiddos would actually eat. You know, because it seems like all they ever want are gross processed chicken nuggets. 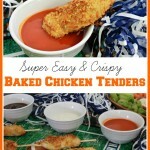 Well, I have tried to bake chicken a gazillion different ways, and I finally found a baked chicken they will eat!!! They are truly delicious, and soooo ridiculously easy to prepare that they are now making there way onto our weekly menu! 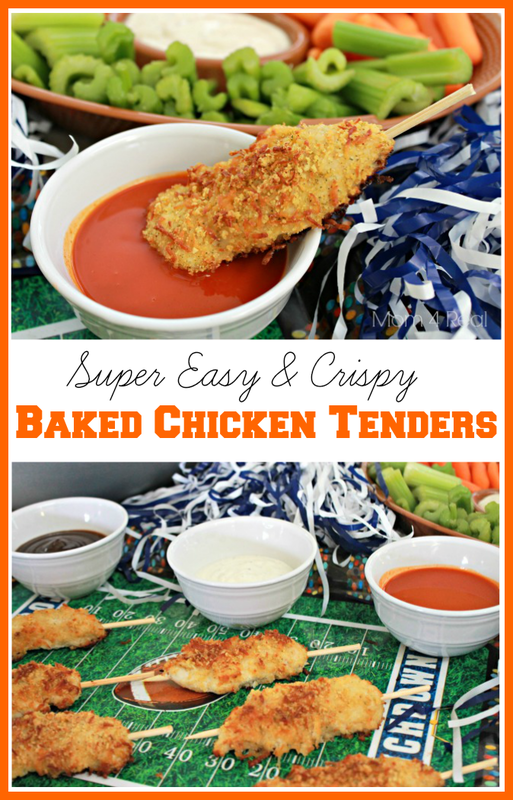 Use as an appetizer or a fun meal! 1 Package of Kraft Fresh Take Cheese and Breadcrumb Mix in your flavor choice. Preheat your over to 375 degrees. Pull the Fresh Take bag apart like the instructions tell you, and mix the breadcrumbs with the cheese. Run each chicken tender under cold water, then place in the bag. Press the mixture into the chicken making sure it is thoroughly coated. Spray a baking sheet with cooking spray. Place each coated tender on the baking sheet. Place them in the oven and bake them for 30 minutes. 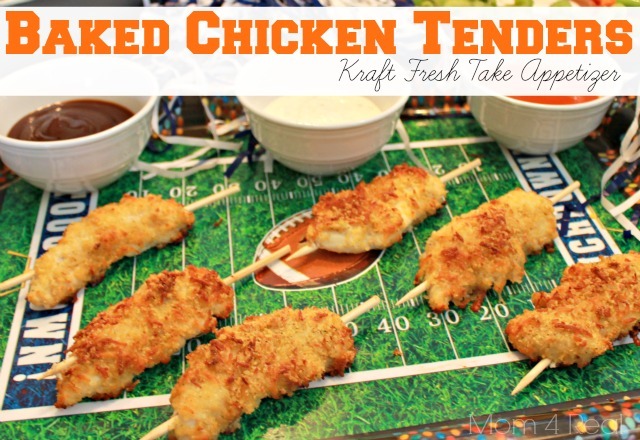 Push a skewer through each chicken tender and serve with an array of dipping sauces. I served ours with BBQ sauce, ranch dressing, and buffalo sauce. They really didn’t need the sauce, because the flavor is already super fab, but hey…add a little buffalo sauce and ranch dip…woooweee! They are delicious!!! So…do you have picky eaters? 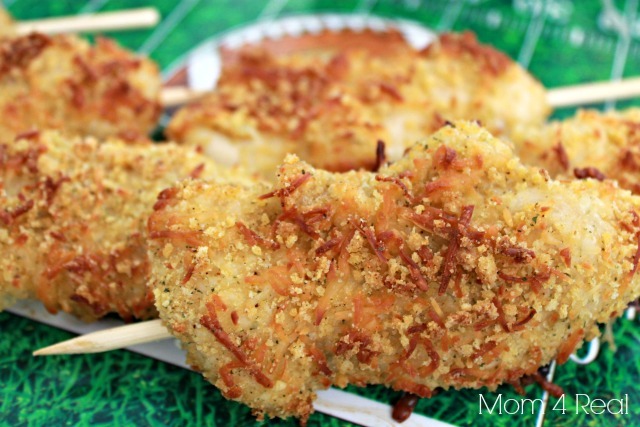 You can grab a coupon for 99 cents off of your choice of Kraft Fresh Take—>HERE! Check out my experience on Google+! So easy. So tasty. Appreciated by all. Any variety of dipping sauces works just fine.